"Life Is Waiting faces more censorship attacks!" WESTERN SAHARA— Our film 'LIFE IS WAITING: referendum and resistance in Western Sahara' by Iara Lee, has been censored, banned, cancelled numerous times, and this week, organizers at Belgium's Centre Culturel Arabe de Liege who had planned to show the film were informed by authorities that they could not proceed with the screening. The documentary chronicles Western Sahara's nonviolent struggle against Morocco's forty years of occupation. 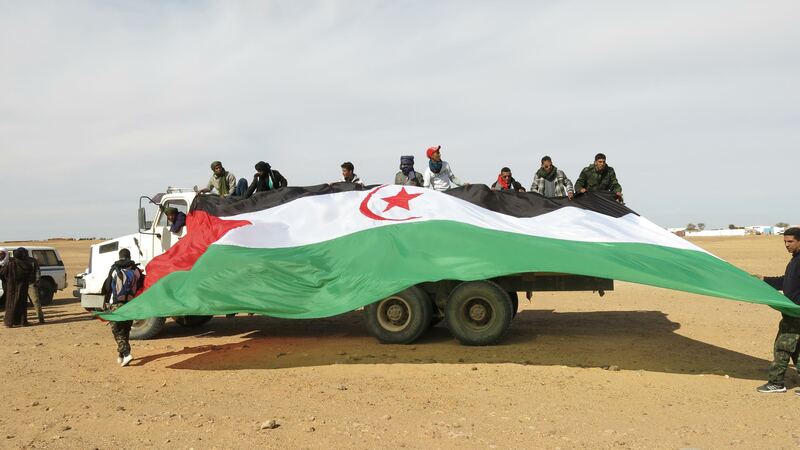 Efforts to block the film screening reflect a pattern by the Morrocan government to censor materials that support self-determination for Western Sahara. Screenings of LIFE IS WAITING have been banned in multiple countries, including Lebanon and the United Arab Emirates. Screenings in Australia and Benin have also faced threats of cancellation but took place in spite of outside pressure. We are outraged but determined to use these bans as motivation to increase our commitment to raising awareness around the world of Morocco's occupation of Western Sahara. Last year, The Guardian reported on the occupation, writing, "Morocco and Western Sahara engaged in armed conflict until 1991, when the UN brokered a ceasefire. As part of the deal, Morocco was supposed to conduct a referendum for Sahrawis to decide whether they wanted to be part of an independent nation or remain under Moroccan rule. But that referendum still hasn’t happened." LIFE IS WAITING continues to screen worldwide, and it has also won a number of awards. You can find more information about the film here. Our other new film, K2 AND THE INVISIBLE FOOTMEN, is also screening globally. Upcoming screenings are listed here. Iara Lee and local organizers are available for interviews. Press photos of the director and crew, as well as stills from the film, are available here.